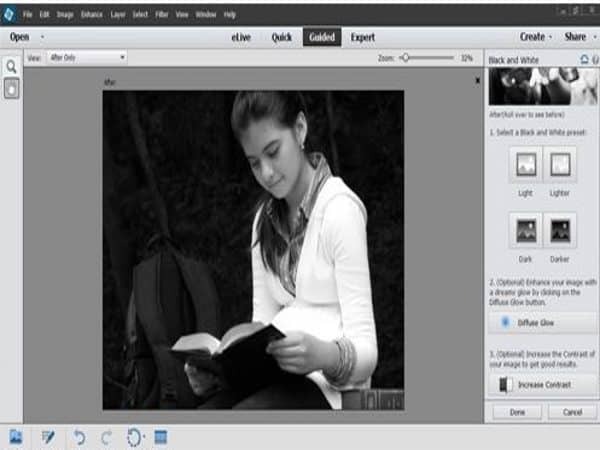 Adobe Photoshop Elements is among the best photo editing in 2016 / 2017, Adobe has goes even further with this new version with enhance speed and editing tools manipulation power, Also this new version has some new capabilities to strengthen its editing and sharing powers.. With Adobe Photoshop elements there is a guided level for novices, though one review says its purpose is getting the job done rather than preparing you for the more advanced levels. There are lots of special effects beyond the usual photo-enhancement features. 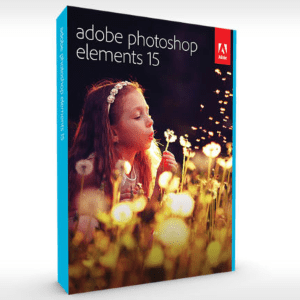 Adobe Photoshop Elements 15 may be the world’s most famous photo-editor nd it’s the best-selling photo editing software in its class , with professional tool and good professional price tag. with this new version you can easily edit photos and make photo creations using automated options, share photos with your social network, and find and view all your photos. Elements comes with an Organizer which you can use to catalog your whole photo collection, offers simple image enhancement tools and can be used to launch a whole series of ‘creations’ like photo books, greetings cards and more. also with Elements Organizer you can use the automated options to find your best photos and clips—or photos of specific things and people. 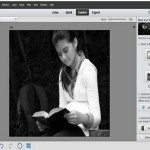 The Organizer is shared by both Photoshop Elements and Adobe’s prosumer video editing app You can get Photoshop Elements on its own, but it’s also available as a bundle with Adobe Premiere Elements, Adobe’s video editing program. This has the same relationship to Adobe Premiere as Elements does to Photoshop. The Organizer works with both programs, which is why you’ll see references to video, even if you just go for the Elements-only version. Adobe Photoshop Elements 15 has a broad feature set, And you can accomplish any editing task, from fixing defects in cherished heirlooms to showing off your creative side with the newest image-manipulation techniques, one of the most noticed enhancement is the Smart Brush which has gotten an upgrade of 30 new effects and filters. 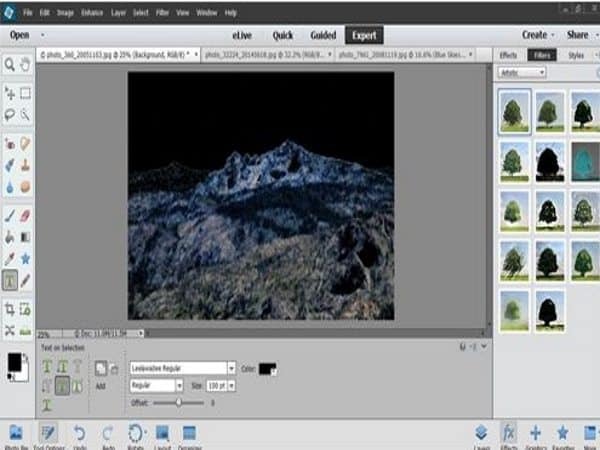 Smart Brush easily allows you to place a patterned backdrop over a distracting background; you can also use it to restore color to a picture that has been flipped to black-and-white. With the improved Smart Brush really does backup its namesake. One of the fun things that is completely brand new to Photoshop Elements 15 is the ability to wrap text on a path. You can wrap the text around a path you create or a shape. While that is all well and good you can’t fix the spacing between the letters or gaps it will create while doing so..
Also with this new version the Picture Stack effect allows you to create a collage feeling to a photo. It divides pictures into eight components that you can then manipulate to get just the look you want. Finally, the Depth of Field effect allows you to add a professional touch to any snapshot by blurring or sharpening specific portions of the image. Add to that with Photoshop Elements you are given a helpful handyman in the way of Guided Edits. These are editing tools to help you perform a range of tweaks and help you along the way. From the simple cropping and sharpening, to the more exotic edits such as merging a group of faces for a group shot. Also with Elements 13 you can also do standard Photoshop things, such as blur, sharpen, apply creative filters and add imagery. And there’s a good selection of clip art such as frames, shapes, and more. The spot-healing brush does an excellent job at removing blemishes. 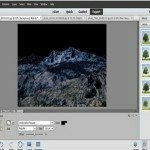 I could also remove a sign in the background of a photo by brushing the nearby forest texture over it with the healing brush The same tool lets you fix old torn scans of photos. Photo Shop Elements 15 lets you tag your photos using your Facebook Friends list directly in the Elements Organizer prior to sharing them, Also you can directly upload to your favorite online photo sites, including Flickr, Facebook, Twitter, or Adobe’s own Photoshop.com galleries.